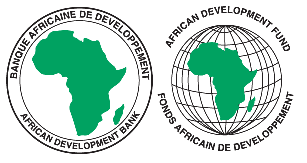 (1) The African Development Bank (hereafter referred to as “The Bank”), is a ‘AAA’ regional multilateral development finance institution, established in 1963, with a mandate to further the economic development and social progress of African countries, individually and collectively. 80 member countries including all the 54 African countries and 26 non-African countries in the Americas, Europe and Asia own the Bank. (2) The Bank intends to select an eligible firm or joint-venture for the provision of Construction works for the Bank’s Field Office in Abuja (Nigeria). (3) Interested bidders must originate from one of the Bank’s member countries, list of which is provided at www.afdb.org. The scope of the project and the forms to be completed are described in the Invitation to Bid (ITB) document that is available for downloading from http://www.afdb.org/en/about-us/corporate-procurement/business-opportunities. Alternatively, the document may be obtained by sending a request to tender@afdb.org. (4) The selection will be conducted through the procedures prescribed by the Bank’s rules for internal acquisition of goods and services. A site visit will take place 10th June 2015. (5) The Bids should be submitted in sealed envelopes delivered at the address below by Thursday 09th July, 2015 at 12:00pm Abidjan, Cote d’lvoire, local time. (6) The Bank will reject late bids.